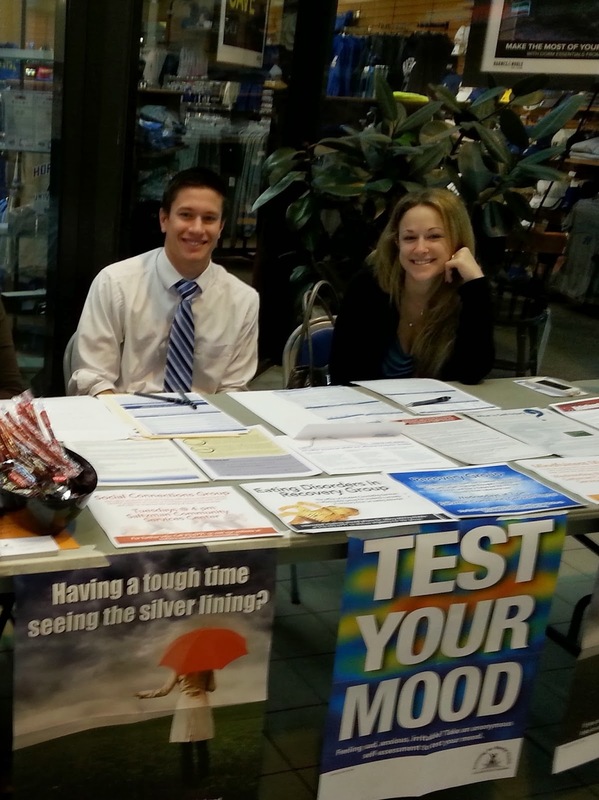 Student Counseling Services was out in the Student Center yesterday as part of National Depression Screening Day, helping students to check their mood and receive information and feedback about common mood concerns. It was great to see students come out and show interest in their own well being and ask questions about how they can help friends and family. If you weren’t able to join us and are interested in information about depression and other common mood difficulties, or would like some help managing your mood please contact SCS or visit our website for more information. Congratulations on beginning your final undergraduate year at Hofstra! You will be notified about necessary steps toward graduation several times through your Hofstra Pride email account. Don't forget to meet your advisement dean; he or she will help you read your degree audit report and see if you are on track to graduation. Below is a summary of steps toward graduation. For May Graduation: Candidates must file by October 1. If the application is received after October 1, there is a $25 fee. If the application is received later than March 1, there is a $50 fee. For August Graduation: Candidates must file by March 1. If the application is received after March 1, there is a $25 fee. If the application is received later than August 15, there is a $50 fee. For December Graduation: Candidates must file by May 1. If the application is received after May 1, there is a $25 fee. If the application is received after October 1, there is a $50 fee. If you believe that you are a senior and have not received any notifications about graduation, please contact your advisement dean. The Center for University Advisement is at 516-463-6770. 2. The Commencement Office will send several emails to you about graduation fairs and commencements. You can then order your cap and gowns and ask about announcements and rings. The Midyear Commencement Graduation Fair will be Wednesday, October 2, 2013 in the Mack Student Center Atrium from 10 a.m. to 4 p.m., and the Spring Commencement Graduation Fair is tentatively scheduled for Wednesday, February 12, 2014 in the Student Center Atrium from 10 a.m. to 4 p.m.
3. Cap and gown can be ordered through the portal. To confirm graduation ceremony attendance and order caps and gowns, visit hofstra.edu/academicattire. You will need to log into Hofstra portal and follow the easy online instructions, carefully check the order, and click submit. An order confirmation and the graduation information will display. Orders for academic attire must be received by November 15 for Midyear Commencement and April 18 for Spring Commencement. 4. You should check your Hofstra pride e-mail account to learn the dates for the Nexus Yearbook photo sessions. For questions concerning senior portraits, taken by Island Photography, please e-mail hofstrayearbook@gmail.com. You will have an opportunity to schedule yearbook pictures at the Graduation Fair, dates and times listed above. 5. The robe distribution for the Midyear Commencement takes place on Wednesday and Thursday, December 18 and December 19 between the hours of 10 a.m. and 8 p.m. in the Student Center Plaza Rooms, for the Midyear Commencement, and Wednesday and Thursday, May 14 and May 15 between the hours of 10 a.m. and 8 p.m. in the Mack Student Center Plaza Rooms for the Spring Commencement. You will be asked to bring your Hofstra ID card to pick up the cap and gown. 6. The Midyear Commencement is on Sunday, December 22, 2013, 11:30 a.m. The date for the Spring 2014 Undergraduate Commencement Ceremony is Sunday, May 18, 2014, 9 a.m. (Hofstra School of Liberal Arts and Sciences, School of Education, and School of Health Sciences and Human Services) and 1:30 p.m. (Lawrence Herbert School of Communication, Zarb School of Business, and School of Engineering and Applied Science). 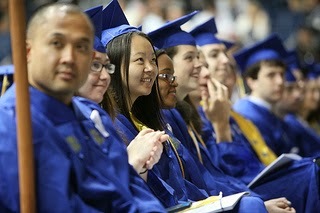 More information about both December (Mid-year) and May Commencements is at hofstra.edu/commencement. When you meet with your advisement dean, you will be advised of all graduation deadlines. If your are unsure who your advisement dean is, the name appears at the top of your degree audit report. Or just email advisement@hofstra.edu. Gay? Hofstra is your Ally! A university like Hofstra is a microcosm of the larger United States culture and society. 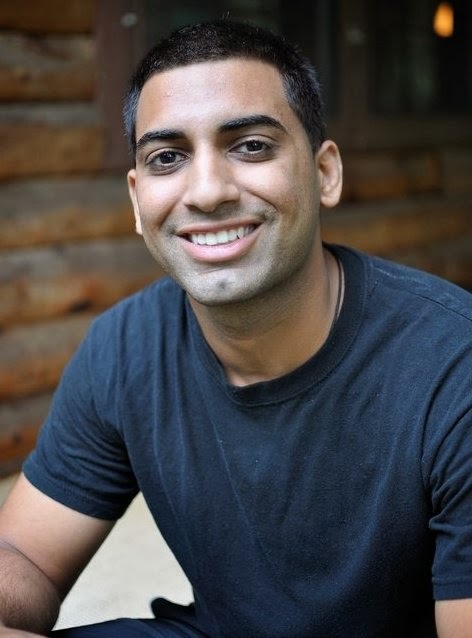 Being a university, however, puts it in the unique position of being responsible for educating and creating well-rounded citizens who can both excel at their career and be adaptable, socially-conscious people. The problems of the greater US are also experienced to varying degrees at Hofstra. One problem in particular is homophobia. The violent crimes rate against people who identify as lesbian, gay, bisexual, transgender or queer (LGBTQ) is on the rise. According to Herek, over 90% of LGBTQ individuals report experiencing some form of harassment based on their identity. It is important to remember that harassment, violence, and even small gestures of non-acceptance toward LGBTQ people (e.g., comments like “That’s so gay!”) are not random and isolated events. It is a larger sign of a homophobic thread that remains stubbornly weaved into the multicultural tapestry that is the United States of America. To change the world, they say you have to start at home. Here at Hofstra, which we hope is your home away from home, we believe we can begin plucking out the threads of homophobia. 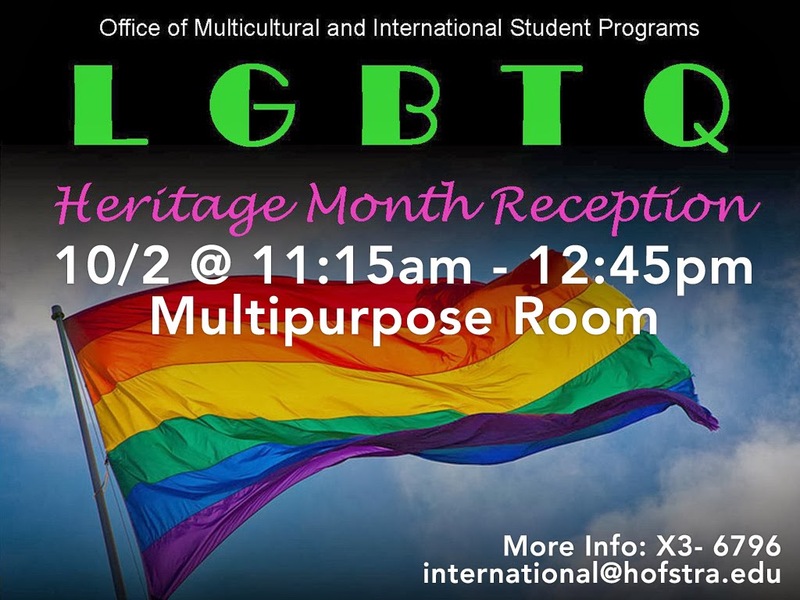 To the LGBT community, the Division of Student Affairs at Hofstra recognizes that it may be difficult for you to feel safe and accepted in a society in which homophobia is still such an issue. We are committed to creating, at Hofstra, a truly cosmopolitan community that is defined by acceptance and support of all cultural differences, including sexual and gender identity. • Find the right people: surround yourself by loved ones who support you and those that may be going through similar situations themselves. 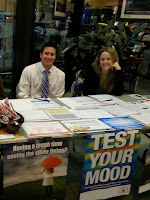 The Pride Network at Hofstra is a safe place to share your experiences, find support, and advocate against homophobia. The Multicultural & International Student Programs Office (MISPO) is in the process of creating a Safe Space project to educate allies to create a community of acceptance on campus. The stigma and discrimination of homophobia creates unique anxiety to individuals who wish to come out and identify as LGBTQ. The MISPO and Student Counseling Services will be providing a support workshop to help in this delicate process. Visit MISPO or Pride Network’s on Facebook for updates on these important upcoming programs. 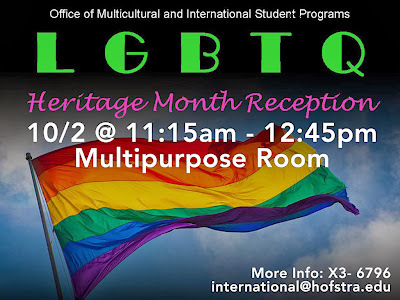 Join other allies in this cause; you are invited to attend the annual LGBTQ History Month Reception, Wednesday October 2nd in Multipurpose Room East from 11:15 to 12:45. Creating educated, adaptable, and socially conscious citizens is a primary purpose of higher education. In working toward that goal, instilling a passion for social justice and equal consideration for all people regardless of sexual, gender, or any other form of identity is an important piece in creating a more compassionate society overall. Be wise…Immunize. Thursday, September 26, from 11 a.m.-3 p.m., stop by the Plaza Room (Middle) in the Student Center for your seasonal flu vaccine. The cost is $10 for students, $20 for staff and faculty (cash or check only). Please wear a short sleeve shirt and eat before you come. If you have any questions, please call the Health and Wellness Center at 516-463-6745. Preparation is Key, Be the Best You Can Be! When I received the news late summer that I would be interviewed for a position at the hospital where I have volunteered for many months, I was ecstatic. I felt confident in my credentials and in myself at that point not realizing that interviewing takes preparation rather than going in blindfolded hoping the resume will speak for itself. After I was made aware that I did not get the job in the rehabilitation department I was hoping for, I was disappointed and frankly quite surprised. I felt I was somewhat overqualified if anything. But little did I know that there is a certain technique to interviewing that I failed to use. When I was fortunate enough to line up two more subsequent interviews, I decided to utilize the Career Center at Hofstra in an effort to figure out what went wrong in the previous interview and to ultimately improve my skills before my scheduled interview. I made the right decision to prepare myself with the help of the Career Center because I sure did learn a lot not only of the interview process itself but also of myself from an objective point of view. I encourage any aspiring student to take advantage of the services provided at the Career Center. In the case of interview preparation, the point is to receive an objective critique on how you present yourself as a candidate. My advice is to use the constructive criticism and feedback to improve yourself, as hard as it may be to hear. The intention of the counselors is to help you help yourself. They are already being compensated from your tuition, so going in with the right reasons of bettering yourself using their expertise that they are very willing to share is only in your best interest. Being overconfident and not preparing was a mistake that I made and learned from. I learned a lot about myself and was forced to take a hard look in the mirror after learning that there were some aspects of how I was presenting myself that may be of concern during an interview. It is not necessarily about how qualified your credentials are based on your resume and other materials, even though that is an important portion of the larger picture, but the interview process is also about the employer gauging whether you can fit with the organization and the people already working there. It is important that you be the right “fruit as part of the fruit basket,” if I may borrow an analogy from the counselor who had graciously helped me on my own success story. The interviewer already has your resume and knows that you have at least the technical capability, which is what brought you to the interview in the first place as part of a selected group of candidates. What the interviewer is looking for are your “soft skills” and what kind of attitude and presence you bring to the table. This is where you have to be the best you, and that is all you can do. The interviewer knows what kind of “fruit” they need, and if you don’t happen to fit the bill, you just cannot take it personally. What you can control is being your true self so that the interviewer can visualize you as a member of their team rather than you only thinking “look how great my resume is, hire me!” throughout the interview. After going to the Career Center and gaining very helpful feedback, I aced my interview a few days later and landed the position I was hoping for as a physical therapist technician; a position that I plan to supplement me on my road to medical school. The first step to success is getting up and utilizing the resources around you. You will be surprised to learn your own lack of preparation, but only if you are willing to hear it for your own good and proactively do something about it. But be an optimist, a realistic optimist. I wish you all success in your endeavors. Good luck! September 19, 2013 is the Moon Festival for Year 2013. The Moon Festival is also known as Mid-Autumn-Festival which is held on the 15th day of the eighth month in the Chinese Calendar. Just like Thanksgiving in the United States, the Moon Festival is one of the most important traditional events for the Chinese. When the Chinese people talk about the Moon Festival, there are a lot of beautiful stories and poems about it. The Moon Festival is also an occasion for Family reunions. When the full moon rises, families get together to eat the mooncakes and celebrate this festival. The mooncake is the typical food that everybody eats during the Moon Festival. People send mooncakes to families and friends as gifts to celebrate Moon Festival. Most mooncakes consist of a thin, tender pastry skin enveloping the different filling. The traditional styles fillings are normally Lotus seed paste (蓮蓉, lían róng), Sweet bean paste (豆沙, dòu shā), Jujube paste (棗泥, zǎo ní), and Five kernel (五仁, wǔ rén). Now the fillings of Mooncakes have diversified to include just about anything which can be made into a paste, such as taro, pineapple, etc. And also people use different ingredients to make the different taste, such as coffee, chocolate, tiramisu, green tea, etc. Happy Moon Festival! Try the mooncakes. You will find something you like!